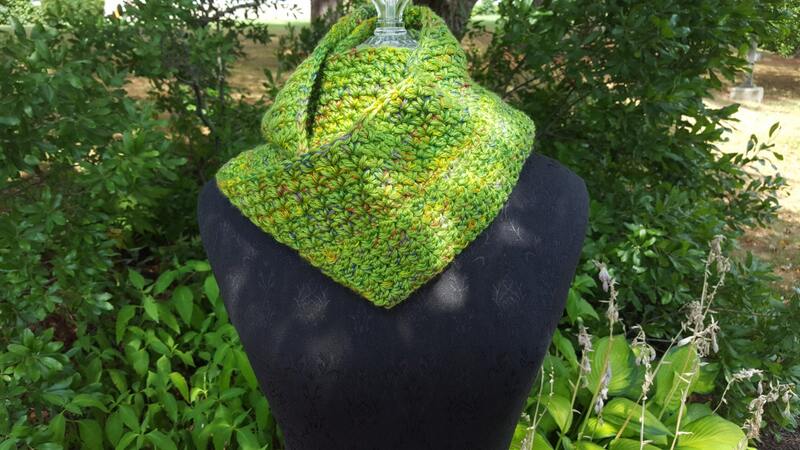 Add that splash of color to your wardrobe with this gorgeous hand crocheted infinity scarf in an ever-so-soft acrylic yarn. 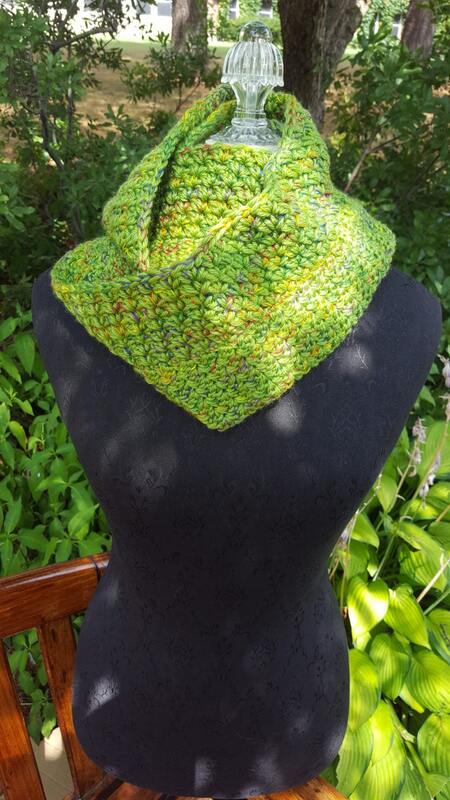 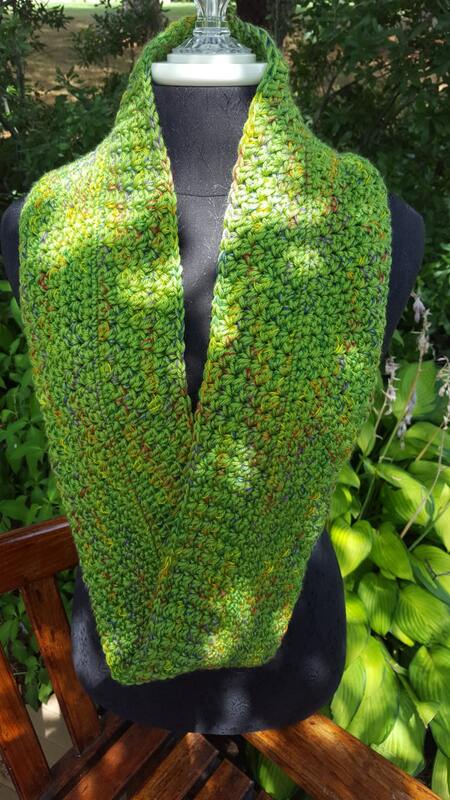 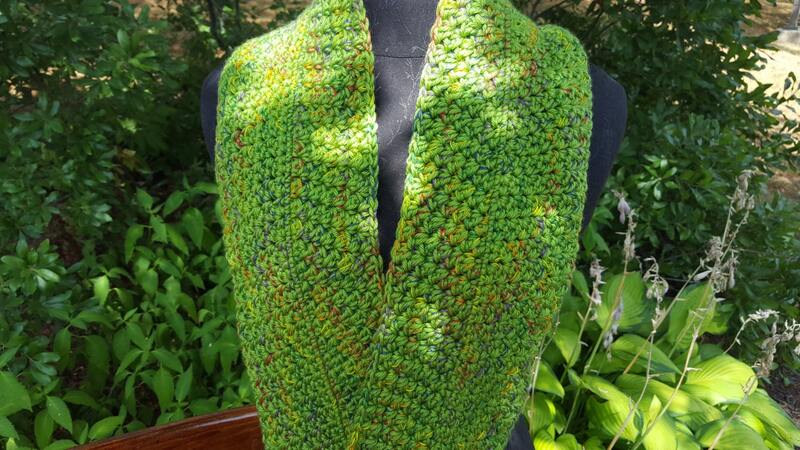 Created in beautiful guacamole green in the Pantone Greenery color for 2017, with touches of yellow, orange, red, green and yellows inspired by the Summer Olympics in Rio de Janeiro, this beautiful mobius wrap will make everyone envious of you! 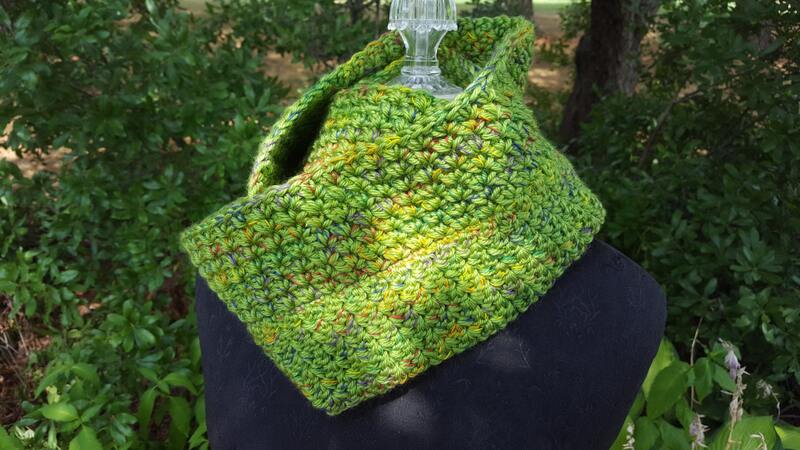 Wear wrapped around your neck for added warmth, or drape as yarn jewelry with a black turtleneck to add that fashion statement!